14" high ~ Made in the U.S.A. 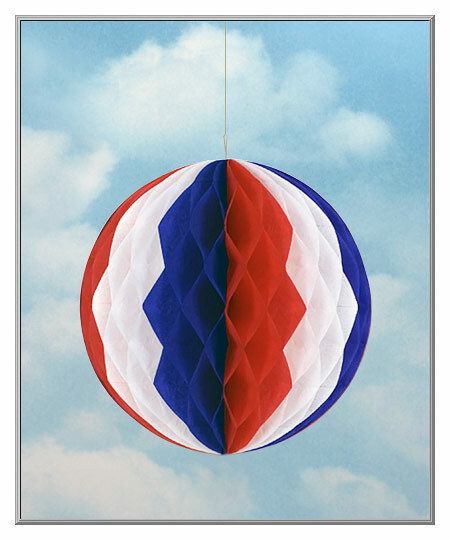 Dress up any patriotic event with the nostalgic flair of this tricolor tissue ball. 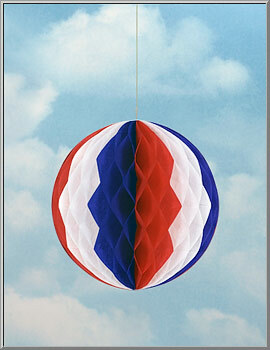 A festive way to display the red, white and blue, this top-quality honeycomb tissue ball is still made in the U.S.A. by a party goods and paper decorations company that was founded in 1900. Decoration arrives flat and opens into a three-dimensional ball. Sold as one tissue ball. a decoration that is 14" high. Patriotic Tissue Ball ~ 14"